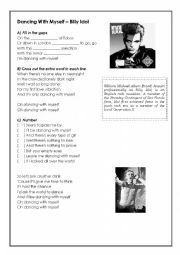 2 tasks for the song and a short quizz about magicians. The music video is also great to use with it. 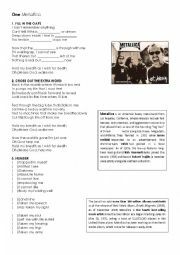 Multi-task worksheet on Metallica´s song. 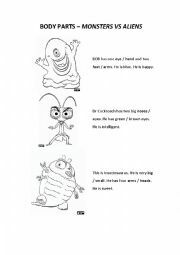 Parts of the body activity with "Monsters vs Aliens" film characters. Students find health problems and also review parts of the body. 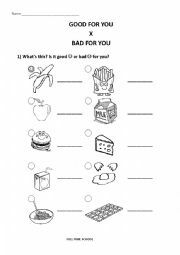 Students revise some food vocabulary and decide what is healthy or unhealthy. Play the 20 first minutes. A bit of Past Perfect vs Past Simple practice. 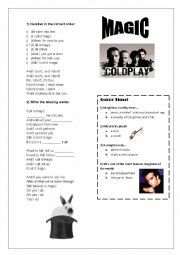 Multi-task song activity. I use it to start teaching reflexive pronouns. 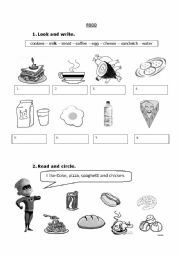 There are 3 exercises to practise family vocabulary. Most suitable for young learners. 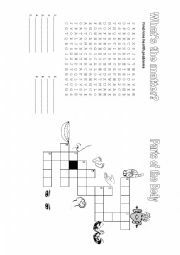 Activity for real beginners, young learners, to practice the chunks "I have...but I don´t have..."
Click on the hints and students try to guess the animal. Key is included as well as an image of the animal. There are unusual animals to make it more challenging. Useful PowerPoint to practice like + v-ing. Drills go from yes/no questions to open questions, from controlled to less-controlled. Fully illustrated. Brief introduction to the use of SHOULD, followed by prompts to make mini-dialogues to practice it. Fully illustrated.